The designated hotel vendor for the ATS 2019 International Conference is Experient. As such, the ATS is not responsible for reservations or bookings made with individuals, agents, websites, or entities other than Experient. While other hotel resellers may contact you offering hotel services for your trip, they are not endorsed by or affiliated with the ATS and entering into financial agreements with such companies can have costly consequences. If you receive unsolicited messages by companies offering unofficial hotel services for the conference, please forward them to ats@experient-inc.com along with your name and company/organization. Be sure to look for the Official ATS 2019 Vendor Seal whenever you make hotel arrangements. The seal ensures that your reservations are safe, secure, and officially part of ATS. You must be registered for the ATS 2019 International Conference to obtain a hotel reservation. ATS hotels will not accept reservations directly, and Experient will not make a hotel reservation for you unless they can confirm that you have registered. In order to reserve a hotel room, you must provide a credit card valid through June 2019, or your hotel request will not be processed. 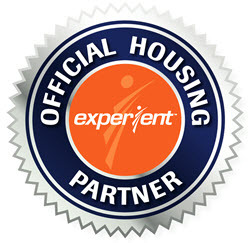 Experient will send you confirmation of your accommodations. All requests for hotel reservations must be received by Experient no later than Thursday May 2, 2019. After this date hotels and rates are subject to availability. Please review your confirmation and hotel cancellation policies carefully, to ensure that you do not miss any hotel specific deadlines.